This editable behavior chart features kid friendly smiley faces for each subject everyday. 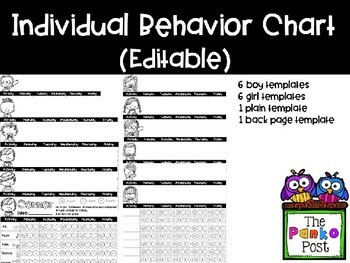 This set includes 6 girl, 6 boy and 1 plain behavior chart. 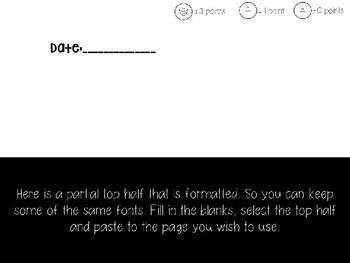 All subjects are editable and so is the top half with the date, what each smiley face means and if you tie it to a point system. I have also include a full page chart if you choose to do a two sided chart because you want more subjects. I hope you enjoy this and that your students do too!